If I could go back to being any age it would be 18. As important as that year was in shaping my future, taking A-levels, working, driving tests and what not, it was probably the most fun, carefree year of my life. 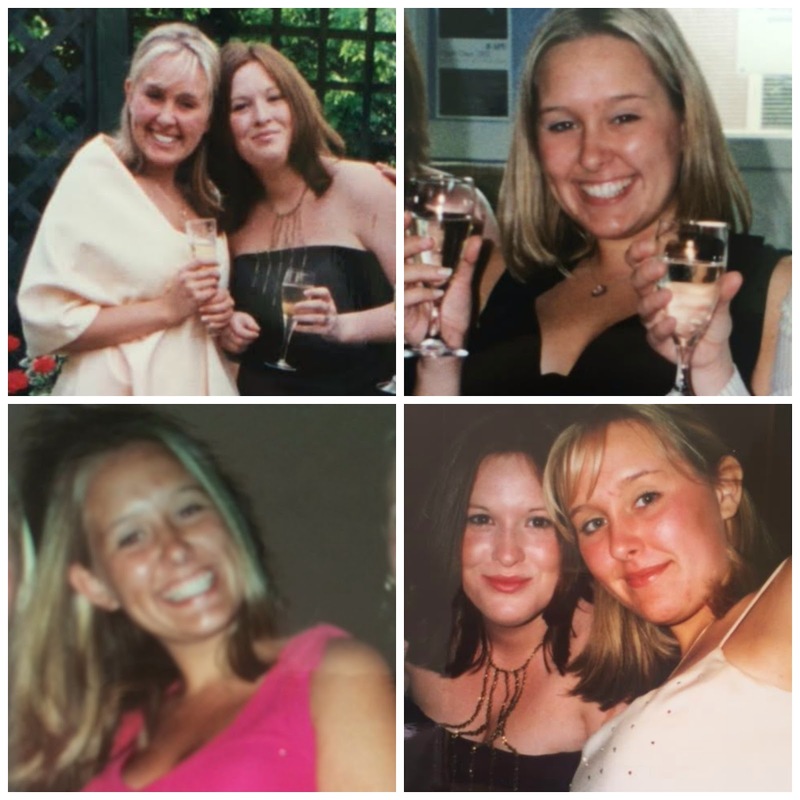 I had an amazing group of friends, the world was my oyster and I was absolutely loving life. Settling into my second year of A-levels surrounded by an eclectic mix of brilliantly talented and funny people every day was pretty darn fun. Our school uniform days were thankfully becoming a dusty memory and we were finally blossoming into individuals, no longer associated by our friendship groups and levels of cool. For the first time in years, I remember being genuinely happy and excited to go to school every day. 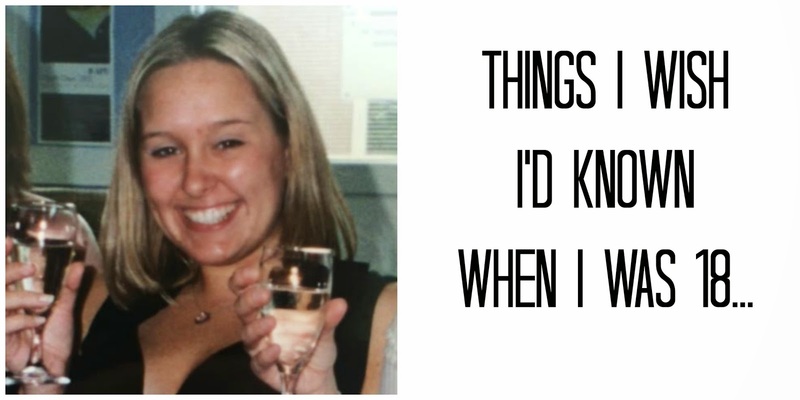 I wouldn’t change anything, but I have been thinking about all the things I wish I’d known when I was 18 and how this might have prepared me better for what adulthood would bring. This might have a lot to with the prospect of becoming a parent. The idea of actually having to become a grown up now that a tiny person will soon be depending on me. So it seems fitting to reflect on all the things I wished I’d known back then. But more specifically, make a physical note of all these things to bear in mind and help guide our little Bean one day. It’s not a joke or a cliche. It’s an actual thing that you really should do. No amount of French Connection Hoodies or bottle of Hooch are going to bag you a house one day. So seriously get into the habit of setting aside some pennies each month. Plus you’re going to spend an absolute fortune on the wedding of your dreams one day, so you’re going to need a little nest egg to avoid selling a kidney for a photo booth. They will not help your shopping addiction, only fuel it. It’s not fake money, you’ll have to pay it all back, plus interest. And by the time you realise this, you would have chucked or outgrown all those “must have right now” items, thanks to copious amounts of alcohol, which you can now consume legally and number midnight trips to the 24 hour McDonalds. It won’t help you find Prince Charming any quicker and when you do finally meet him, you’ll quickly learn that you could wear the same outfit 7 days in a row and he a) wouldn’t notice b) love you whatever and c) would rather you didn’t have a shopping addiction and that you’d save your money for all the important things in life. Like a roof and electricity. And that’s ok. You just have to make new dreams along the way and remember to always appreciate the good things that do happen. Don’t feel too hard done by when certain things don’t go your way and life isn’t as dandy as it has been up until now. Even when you’re unemployed or working crappy jobs surrounded by absolute knob heads. Or getting shat in the eye by a pigeon on the way to yet another pants job interview, keep you’re chin up. There are worst things happening to others. As much as it pains me to write it, I just don’t think it’s going to happen. But by all means, keep practising that acceptance speech in the mirror if it makes you feel better. There will come a day when a package holiday to Spain will seem like a luxury treat when you’ve got a mortgage and bills to pay. Instead of slumming it in god awful Malia for two weeks of pure torture, save a little more and go on that USA adventure you’ve always dreamed of doing. One day that trip will become exactly that, a dream. Aside from our parents, our friends play an important role in sculpting us as human beings. You made some excellent choices and are lucky enough to still have some of those amazing people in your life today. You kept each other on track and they were worth fighting for (and with) for all those years. Some people are worth your time, others really aren’t. Don’t spend too much time trying to be friends with everyone. Some people are complete and utter twonks and one day you’ll realise this. We all want to be liked, but don’t waste effort trying to be liked by those who will only take advantage of your kindness and naivety. For a number of reasons of which I’ll kindly remind you of, a) you didn’t show your stomach off in the first place to warrant it having a piece of jewellery b) you’ll never willingly want to show your stomach off unless its being pumped and c) those holes won’t magically disappear and d) one day you might just get pregnant. FYI holes expand in pregnancy and more people are going to want to see your holy enlarged stomach more than ever. Brilliant. OK, so a summer stint at a fat club did the trick, but try to love who you are and don’t compare yourself to your skinny friends. One day you’ll regret putting yourself down so much and appreciate the days where you could get away with strappy tops and short skirts. Stop moaning and enjoy it as there will come a day when you can seriously see yourself living out your days comfortably in a pair of maternity leggings. Boys are annoying. They always have been and always will be a life long source of annoyance for the female species. Don’t waste too much of your carefree years concerned with them. Finding love can be a life-long mission and if you don’t have a boyfriend until later in life, it doesn’t mean you’re a leper, or that there’s anything wrong with you. It just means that you will find him one day, when the time is right. You’ll meet him when you least expect it and you’ll know he is the one you’ve been waiting for within seconds. Life will never be the same once you meet him. You will never be the same once you meet him. But life will be just perfect now that you’ve found him. What do you wish you’d know when you were 18? Disclosure: This is a collaborative post. Thank you for supporting the brands that make this blog possible. Previous Post Beware…Irrational & Irritable Woman Coming Through!